10 distinguished donors will band together for the adoption of Nelli's Judas. Legal-minded adopters are joining forces to take on the case of an 'unpopular defendant'. Will Plautilla Nelli's Last Supper be left with one 'homeless' Apostle after the other eleven have found patrons through AWA's 'Adopt an Apostle' restoration program? No! 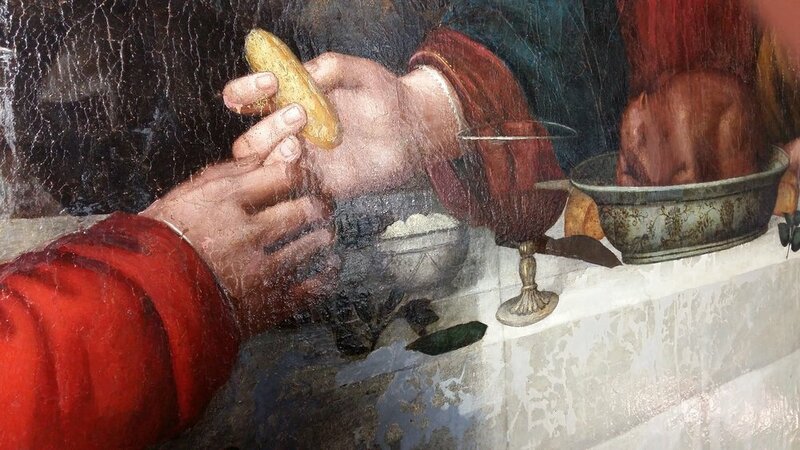 Judas's role is central to the Christ-story and the Last Supper in particular. Through The Art Defense Fund, Advancing Women Artists invites ten distinguished advocates to each pledge their support by means of a $1,000 gift for the restoration of Judas. There is nothing better than matching the story of 'real people' with Nelli's Renaissance story. What does Nelli's Judas say about her Last Supper? Recognition for those who safeguard Nelli's art through the Art Defense Fund.